The IPCA ARCHES Retreat was an unqualified SUCCESS!! We had SO much fun, shared so much and learned so many new things! 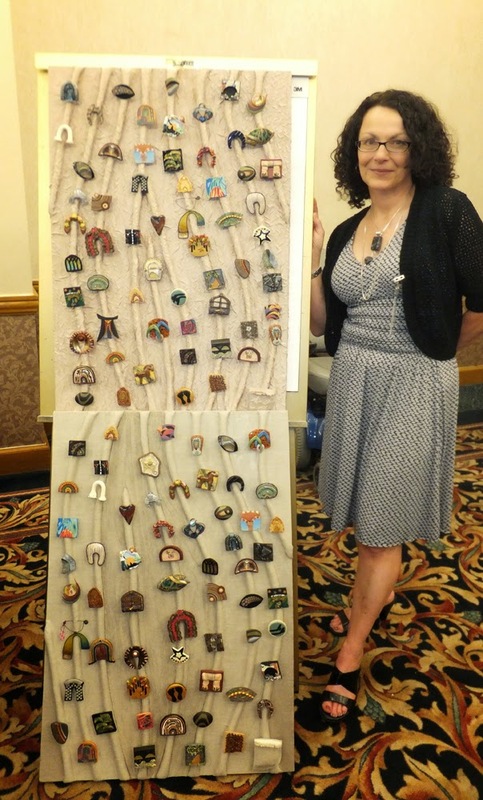 As a committee member, my main task was to administer the Pin Panel, which was this events equivalent of the Bead Strands from past Retreats. 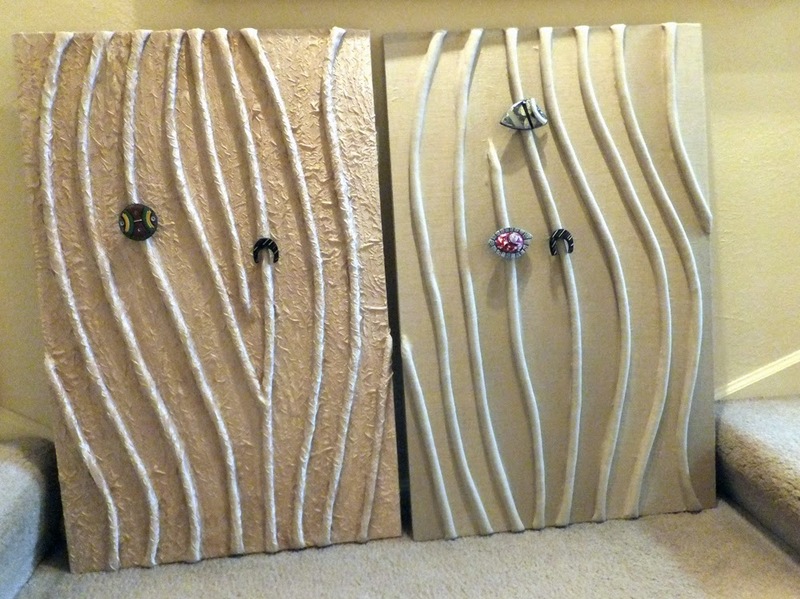 Everyone was to contribute two (near) identical arch-themed brooches, each of which found a home on two prepared panels. One was auctioned at our banquet on Friday night by Lisa Pavelka, and the other was shuttled off to a secret vault to be archived for future generations of polymer artists (I think). The board details evolved from my architectural background - Form Follows Function. As you undoubtedly have discovered, it's a nightmare not to pin to a flat, padded surface, but to fasten the clasp! So, I needed a raised element on which to mount all those gorgeous works. I considered cotton upholstery cording, and took a pin back to Jo-Ann's to see if it penetrated easily. It seemed to be okay. So I hot-glued the cording to a stretched canvas (the canvas was Debbie Jackson's suggestion). Tip #1: Be neat with your hot glue, and don't stray past the edges of the cording. Excess glue lumps will show through fabric. 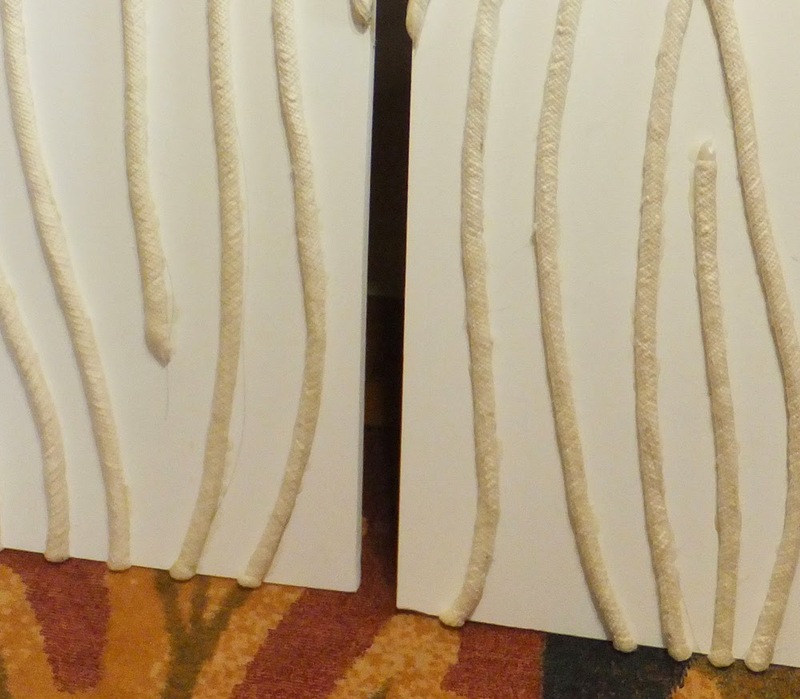 To secure the fabric, I applied fabric glue to only the canvas between the cording so as not to gum up the pins. Which glue? I used several, since I ran out - look for fabric glues, and do a small test on the back of the canvas. Tip #2: Spread,glue evenly but sparingly to avoid bubbles when dry on smooth fabrics. (Which is why some areas of the linen panel have an extra layer of my trade-mark gauze applied!) With the crinkled fabric, this was not such a problem. Start in the middle of the canvas, and with the center of the fabric, applying glue section by section. Smooth and press the fabric into the glue. Don't stretch it. Neatly tuck and fold as required and wrap around the edges of the canvas, securing on the back with more glue, hot glue, staples, etc. I also did a tone-on-tone metallic bronze paint on a few of the linen areas, just for a bit of subtle contrast. I wanted the panel itself to be interesting on a wall, without detracting from the art itself. Even with no glue on the cording, many pins ultimately had some trouble penetrating the thicker part of the cording, as apparently not all pin findings are super sharp. I ended up sliding most of the pins through just the fabric on the front of the ridges (and was really, really glad that the fabric here was loose and not glued to the cording!). On a redo, maybe I'd look for a different material - small diameter foam tubes? Randomly spaced domes of individual packing peanuts? The ends results were impressive, but mostly because of the pins themselves! What varied, thoughtful and creative ART!!! I was happy to have provided a worthy backdrop. FYI - all pins were numbered/photographed, and will soon be available (sometime in September) for your viewing pleasure - keep an eye on the IPCA and ARCHES FB pages! This month's challenge was to start with a 1" black ball of polymer. 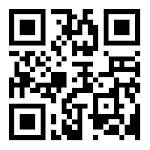 No other instruction, other than it had to be recognizable in it's final form. 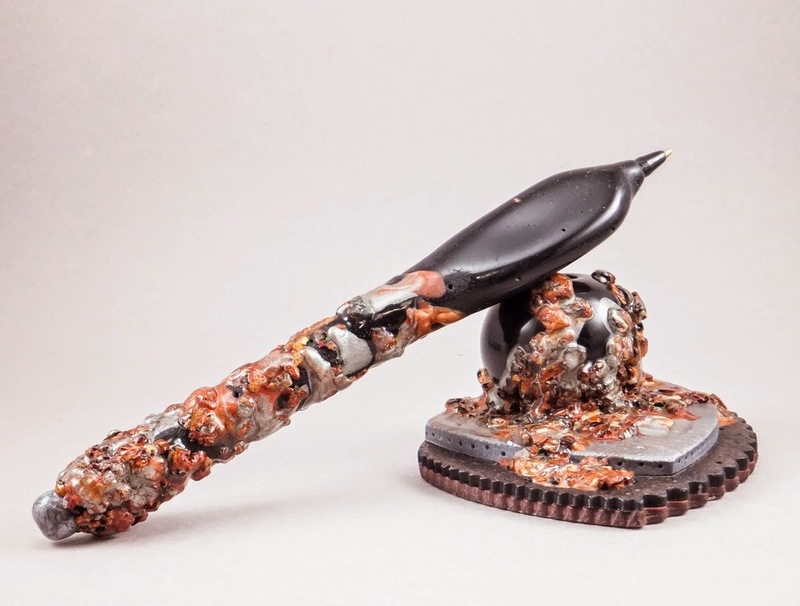 And, we wanted to tie-in with PCAGOE member Sage Bray's publication, The Polymer Arts, or her daily blog. Sage is very open to unusual polymer techniques for inclusion. This pen with stand expands upon an idea that I floated past her and which was included in the Spring '12 issue. 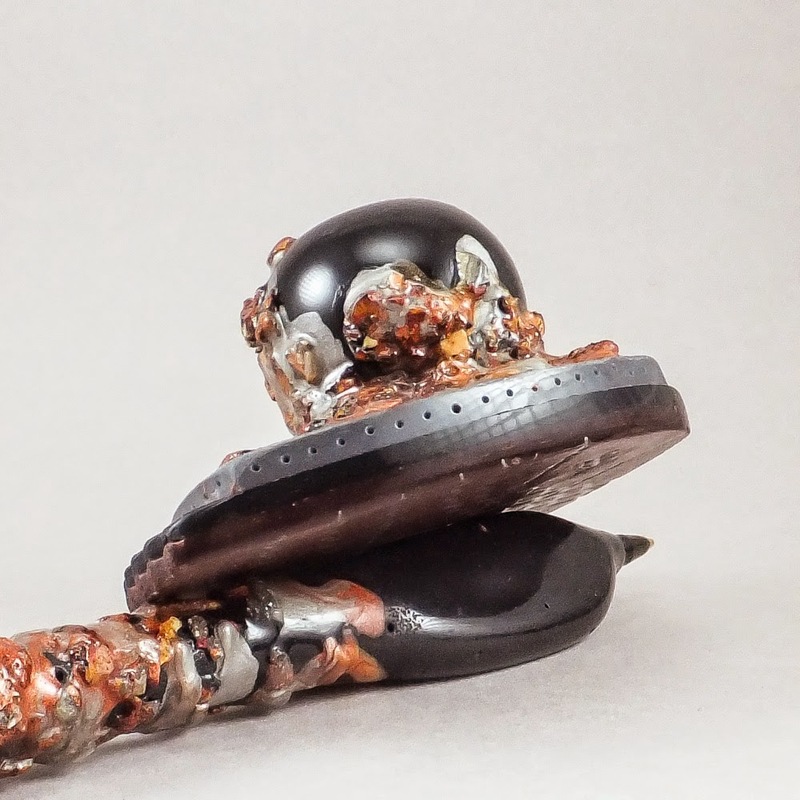 Instead of only chopped translucent polymer of the article, this piece utilizes metallics, remains of other techniques and metal leaf to adorn the polished black ball starting point. Tendrils of mica tinted liquid polymer were added for shine and adhesion.